It’s prom season again, and I’m loving the creativity used to ask for a date. These boys got it right! 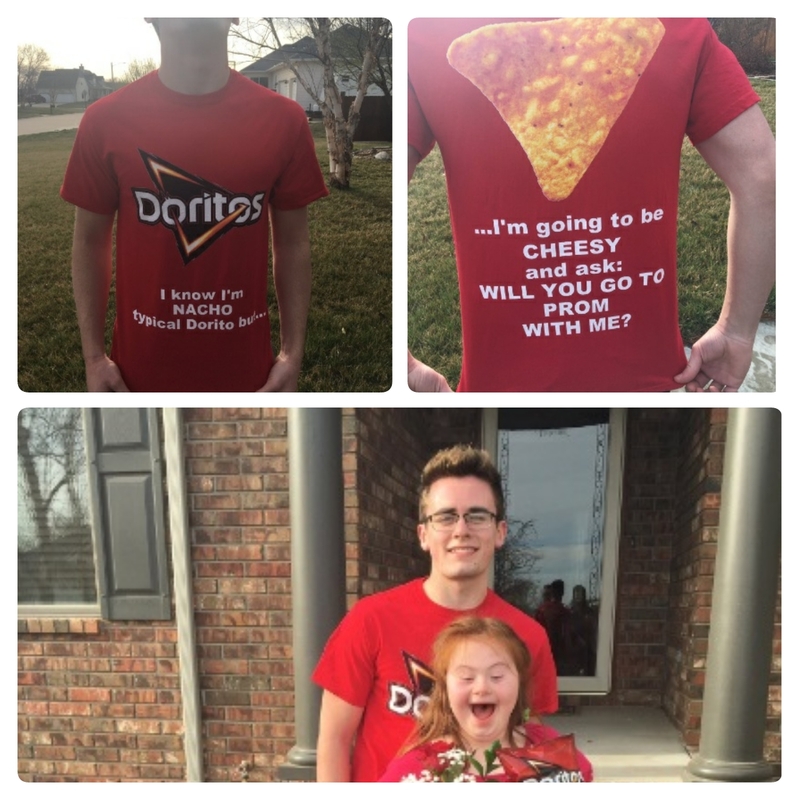 A high school senior from Kansas asked a girl with Down syndrome to go to the prom with him. He said, “She is one of the best people I know.” He said he wanted to make her happy because she has brought “nothing but joy” to his life since he met her. 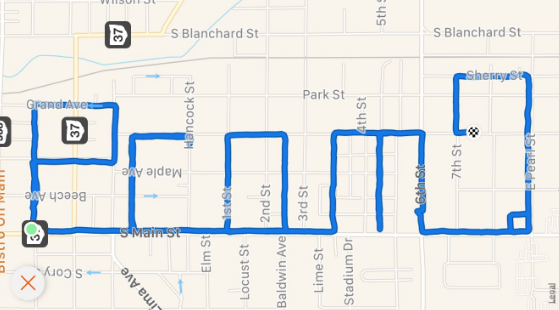 In Ohio, a 17-year-old boy asked his 16-year-old girlfriend to prom by running 5-1/2 miles to spell it out on his GPS app. They met on the high school cross-country team. He knew she used the app as well and he asked her to check out the route he ran that morning. The question mark alone took a mile. So very sweet. When we lose faith with all that’s going on in our country, just look at the upcoming generation. They are our hope, they are our future, and they are being raised well. This entry was posted in News and tagged all is not lost, doritos, Down syndrome, good news, GPS, happy, hope, prom, running, smile, spring, youth on March 22, 2017 by Paula. Rob over at My God, My Music, My Life, has put forth the challenge to find some stories that are different from the usual doom and gloom we’re too used to seeing in the daily news. And I’m always up for a happy story. It is my hope that people one day realize that hate does not change things… if you want things to be different, start from within. 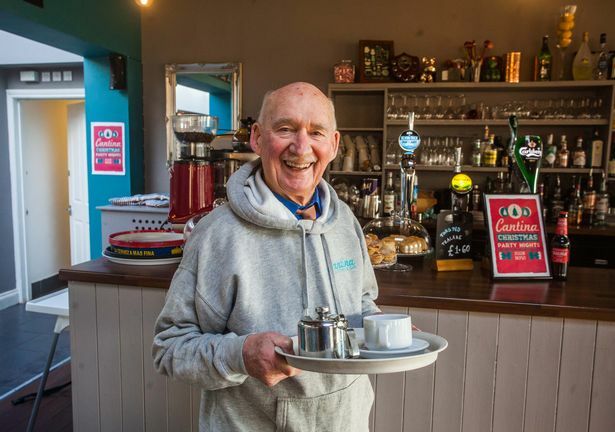 Joe Bartley, an 89-year-old widower in Paignton, Devon, placed an ad in a local newspaper looking for work to “save him from dying of boredom.” The ad went global and landed him a new job at a local cafe. Joe retired from his last job as a college cleaner 6 years ago. He had previously served as a wireless operator with the 6th Airborne Divisional Signals in Palenstine after the war. 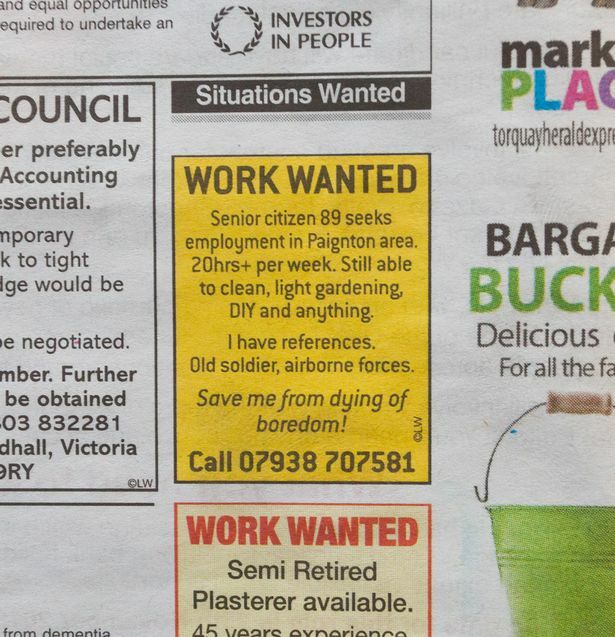 Once word got out about the ad, he was inundated with job offers. He had never had a job interview before and was “over the moon” about acing his first one. 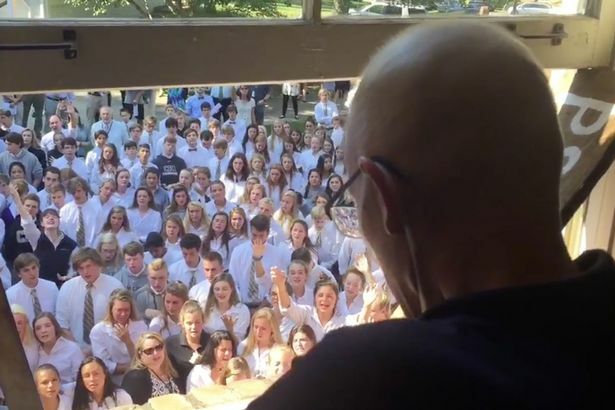 Ben Ellis, a high school teacher who was battling cancer, was so loved by his students they turned up in droves to sing to him outside his home. He was left fighting back tears at the window of his bedroom as 400 children serenaded him with song of worship, Holy Spirit You are Welcome Here. The entire student body from the Nashville area high school where he taught, including parents and faculty, loaded up buses and cars to worship with him at his home. Ellis lost his battle with cancer just 10 days later. Second grade students at a school in Topeka, KS, had just finished reading a book about some kids who find a stranded sheepdog with a broken leg, when the teacher happened upon a Facebook post from the Helping Hands Humane Society that she knew the kids would love. The post was about an Australian shepherd that had been taken to the shelter after a local vet found him on the side of the road with a broken leg. The HHHS were asking for donations for $400 to pay for the surgery needed for Ryker. 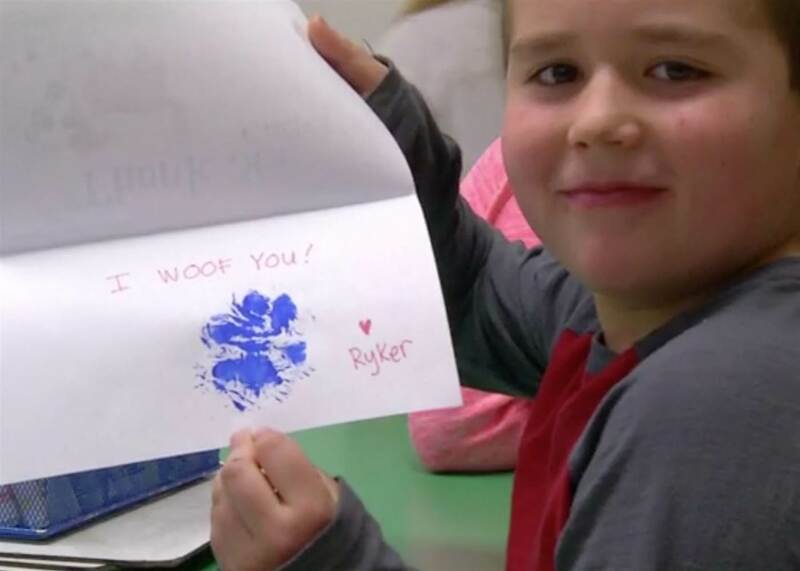 The 2nd-grade students were compelled to help Ryker in any way possible, so the teacher sent a note home to their parents. They came back the next day and the kids had raised over $450. The shelter was thrilled and knew it had to do something to thank these sweet children. 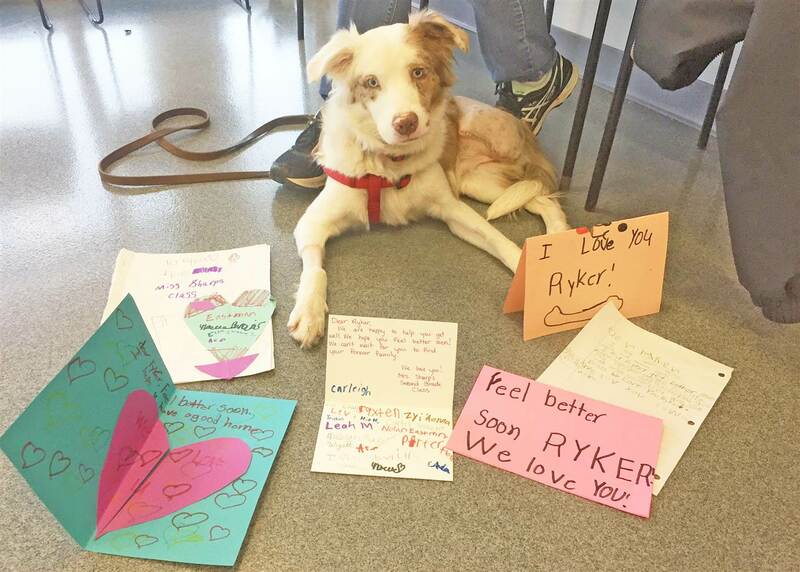 So the shelter and Ryker headed off to the school with the intention of surprising the 2nd-grade class, and they didn’t disappoint. The shelter says it has received over 100 applications from families hoping to adopt him. 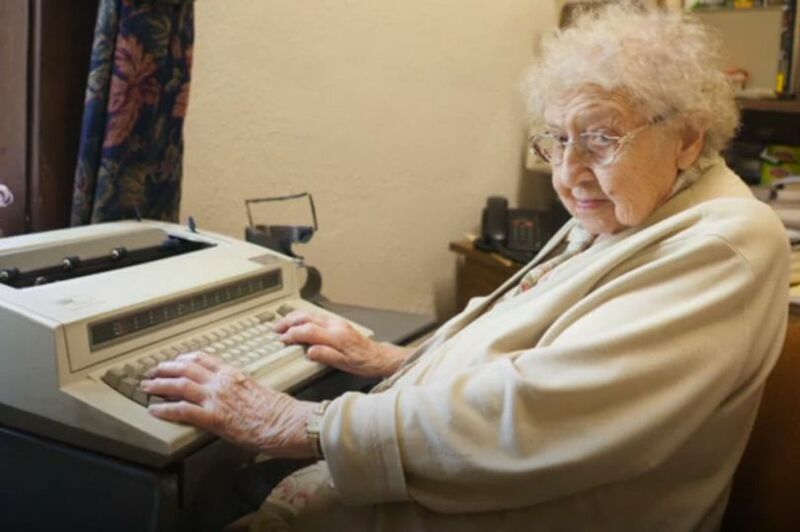 A woman celebrating her 80th anniversary in the same job says that retirement isn’t in the cards – as she still loves her work. 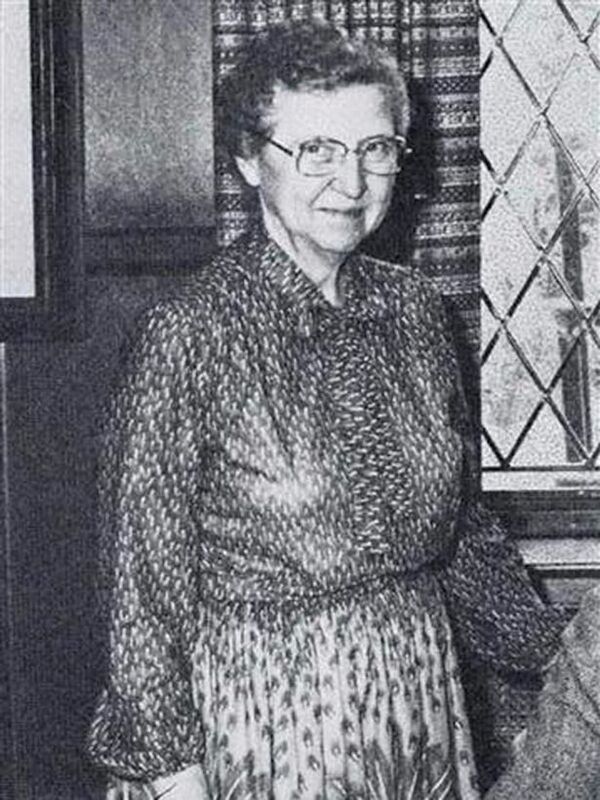 Elisabeth Davis may be 99 years old, but she’s not letting a little thing like age get in the way of keeping active and entertained as she heads to the offices of Culver Academies every day in her role as secretary and says that she has always been happy at the job. 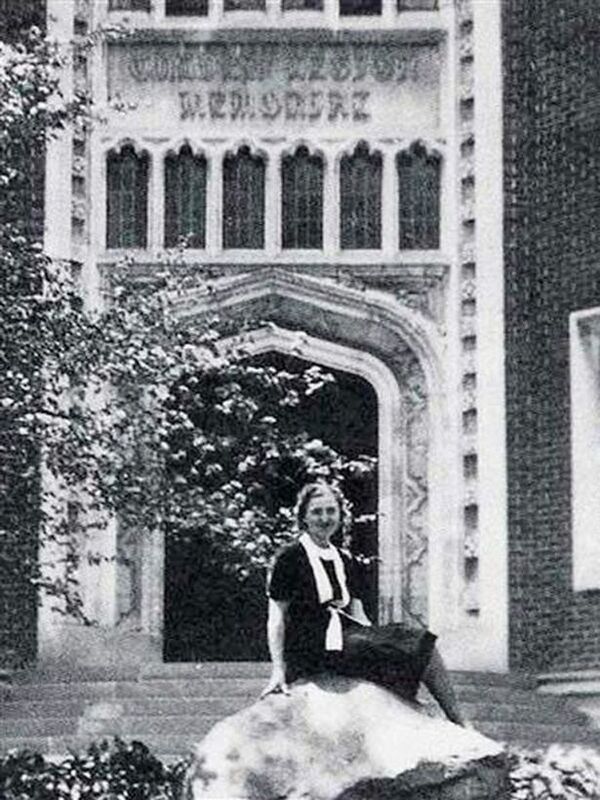 After she left Culver High School as a student in 1935, Elisabeth took her first job as assistant to the dean in Culver Academies and has been there ever since. She still uses a typewriter to get the job done, with the school ordering ribbon and parts specially. The Munich Olympics were held and Jessie Owens made history with four gold medals — much to the anger of Adolf Hitler. In the UK, King Edward VIII abdicated to marry Wallis Simpson. The Spanish Civil War started. Charlie Chaplin’s Modern Time was a cinema hit, and people were listening to A Fine Romance by Fred Astaire and Up The Wooden Hill To Bedfordshire by Vera Lynn. FDR was president of the U.S. This entry was posted in News, random acts of kindness and tagged compassion, good news, happy, love, pay it forward on February 27, 2017 by Paula. Due to the overwhelming doom and gloom in the news these days, I decided to take on Rob’s challenge (My God, My Music, My Life) to share a couple of news stories I have read recently that actually made me smile. There is still good in this world… it’s a shame we have to search so hard to actually find it. That being said, no need to search for good news, I’ve done it for you! Hope you enjoy!! A CBS tower camera in Lincoln, Nebraska got an up-close-and-personal look at their neighborhood hawk. Shared from goodnewsnetwork.org: This tea-riffic police officer wasn’t just attending this adorable party to get free Oreos – it was a celebration of the day he saved one 2-year-old’s life in 2015. Almost a year before the photo was taken, Corporal Patrick Ray was dispatched on a call to save 22-month-old Bexley Norvell from choking on a coin. Thanks to his quick actions, the little girl was able to breath again, while the officer’s bodycam filmed the whole scene. 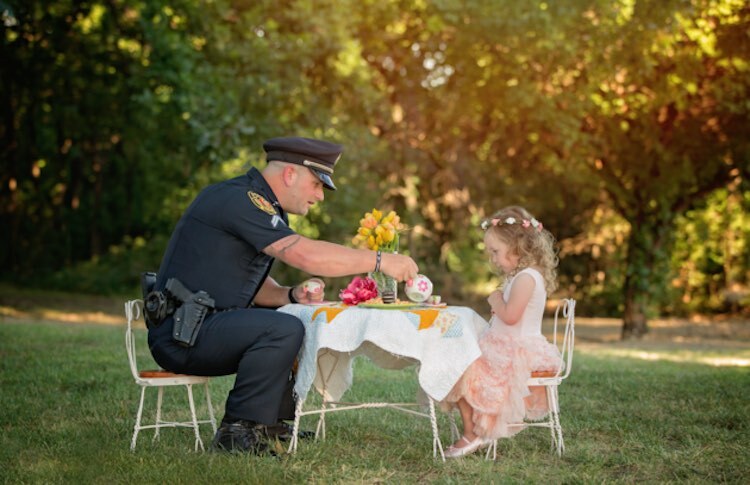 Bexley’s mother – eternally grateful for her daughter’s hero – invited the policeman back to their house a year later to celebrate with some tea at their home in Rowlett, Texas. Chelle Cates, a professional children’s and newborn photographer, captured some snapshots of the adorable exchange to commemorate the anniversary. 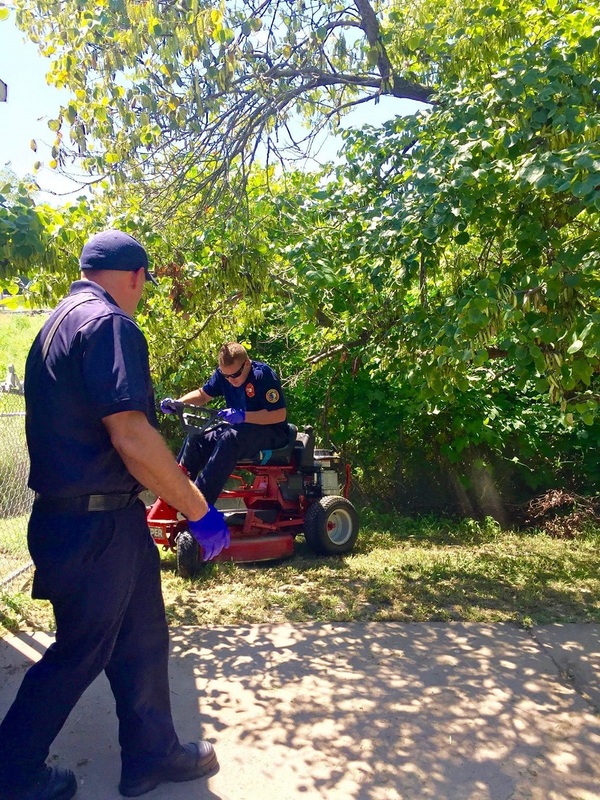 Shared from sunnyskyz.com: A man in Lawrence, Kansas, suffered a medical emergency while working in his yard and was rushed to the hospital. The members of Engine 1 stayed behind to finish his yard work for him in the hot August sun. Shared from huffingtonpost.com: One man is helping kids find a little joy. 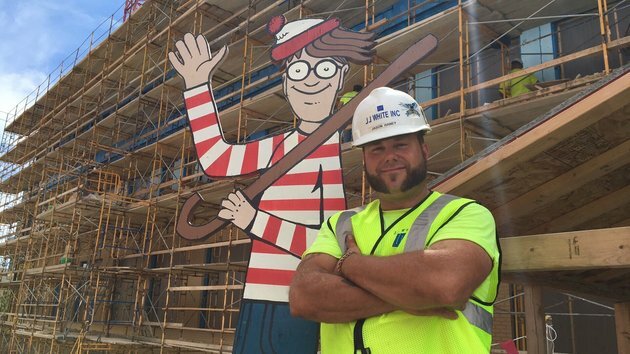 Jason Haney, a construction foreman, hides a life-size cutout he made of Where’s Waldo on site every day for kids who are staying at a hospital next door to find. Haney, who is working on a $50 million expansion at Memorial Children’s Hospital, got the idea after he and workers got word that a snowman they had built on the site last winter delighted patients and staff. Soon after that, Haney placed a blow-up snowman and a blow-up Sponge Bob Square Pants for the kids to see. Then a co-worker gave him a brilliant idea. Haney took a 4-by-8 sheet of plywood, drew the outline of the iconic children’s book character and cut it out. With the help of his teenage daughter, Taylor ­— who needed extended care at another children’s hospital when she was 3 years old due due to a stroke — they painted the plywood red and white until Waldo came to life. In April, Haney debuted Waldo on the site, placing it within eye shot for pediatric patients on the sixth floor to see. And just like the famous books, Waldo was a hit. This entry was posted in Life in general, News and tagged first responders, good news, goodnewsnetwork, happy, hawk, huffington post, life, police, sunnyskyz, waldo on August 5, 2016 by Paula.